There are a lot of reasons to like Madison, and there are many interesting and unique things about the city. 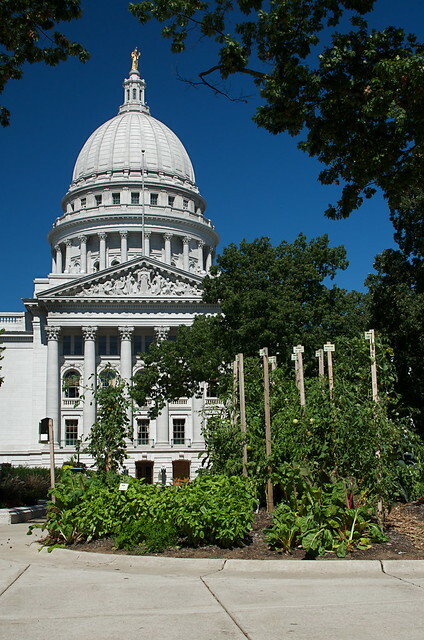 This week's favorite for me is that on the grounds of the state capitol here, there is a vegetable garden. 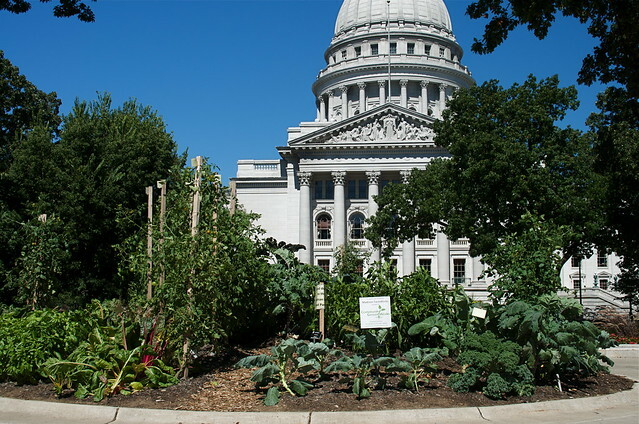 Perhaps even more to the point, the produce from said garden is not constrained to a garbage bin, or even a compost heap, due to asinine regulations. 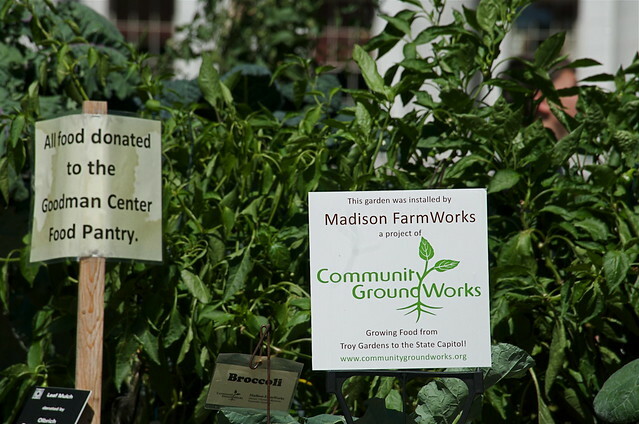 Instead, all the bounty of this small garden is donated to a local community center's food pantry where it goes directly and promptly to needy families.